Rock is a recurrent character in Osamu Tezuka's manga series, and he is an important part of Osamu Tezuka's Star System. Rock is a young boy with shiny dark hair. He first appeared in the manga series Detective Boy Rock Holmes, as a child detective. 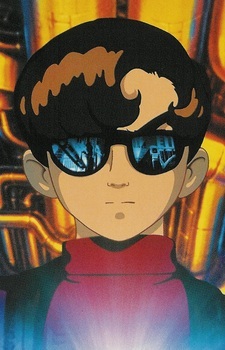 While most of other Tezuka child characters stayed the same age, Rock grew up throughout the years and his character was reused for more mature "roles" in Tezuka's manga, where he gradually developed a darker personality. Often cold and brutal, his character tends to be used as an antagonist, who later, in works such as Phoenix, kidnapped and murdered people. In this older form, Rock is often wearing a three-piece suit, a striped tie and dark sunglasses, the last of which became something of a trademark for him. Best known to American audiences for his dark and violent roles in the recent Metropolis movie and second volume of Alabaster, Rock is sometimes good, sometimes evil, but always determined, absolute and charismatic.